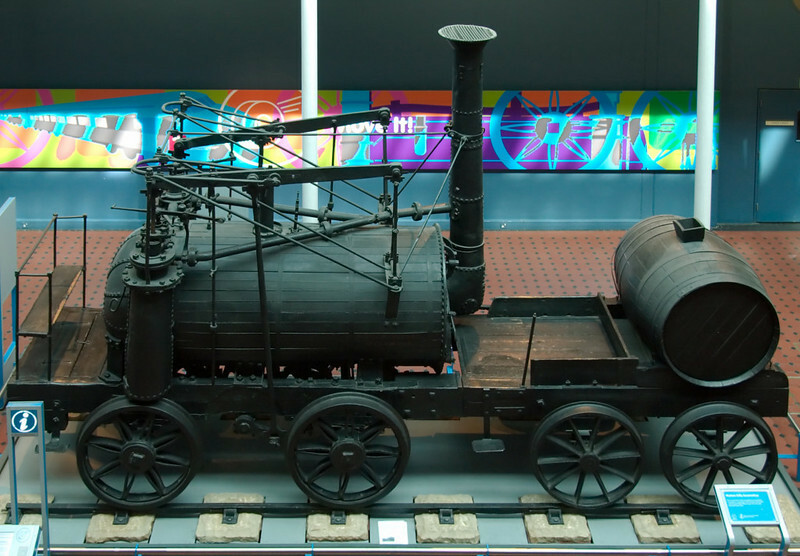 71 photos of early British steam, starting with Richard Trevithick's 1801 Pufing Devil to East Indian Rly 2-2-2WT No 21 Express, built in Leeds in 1855. I have included replicas, and locos built in Britain and exported to France, Germany, Holland, Ireland, USA and India. Wylam Dilly, National Museum of Scotland, Edinburgh, 3 May 2008 Built about 1815, Dilly is Puffing Billy's younger sister, NB that the rails are mounted on stone blocks. With modifications, Billy and Dilly both worked intermittently into the 1860s when they were preserved.